I'm sgrunt, now effectively retired from the community, formerly your friendly neighbourhood senior publisher from 2010-07-08 - 2012-05-06, formerly the admin assistant from 2010-03-14 - 2010-07-08 and a normal publisher from 2009-11-30 - 2010-03-14). I also once did a fair amount of coding for the site and the occasional bit of database maintenance. I've been around since mid-to-late 2007 (lurking for a fair bit prior to joining the fora), though this includes a year-and-a-half gap from early 2008 to late 2009 where I wasn't particularly active in the community. I prefer to watch games more than I play them, and help other people create runs rather than do so myself; that might explain why people think I am a dedicated enough grunt worker to be in charge of publications. I have a short attention span, so TASes of fast-paced games (a natural combination anyway) score highly in my books. I like seeing the game abused in ways that are unexpected, especially where glitches come into play. I also have a soft spot for the games I played a long time ago (but then again, who doesn't?). In games where there's a difference, I usually prefer 100% completion to any%, unless there is a very large difference in time between the two with no substantial effect on anything else (not necessarily including a different ending). Repetitiveness grates on me heavily. As such, many platform games get boring extremely quickly for me. Although I'm not much of a TASer, certain games have caught my attention enough to warrant runs. DOS Commander Keen: Episode 5 - The Armageddon Machine (v1.4) in 02:42.43 by sgrunt. Commander Keen 5: The Armageddon Machine (1991) is a part of the popular Commander Keen saga, developed by id Software. It is a direct continuation of the previous episode, in which Keen has learned from the Oracle of Gnosticus IV that the evil Shikadi plan to blow up the galaxy with their doomsday device, the Omegamatic ( It slices! It dices! It causes a 100,000 light year-diameter quantum explosion! ). Naturally, he sets out to sabotage the machine and stop the Shikadi. Using a series of glitches, Keen completes only four stages to get to the end game, only one of which takes any significant length of time, and destroys the Quantum Explosion Dynamo, the core of the Omegamatic in the impossibly short time of 2:42. In the process, he manages to inadvertently prevent the Shikadi from accomplishing their escape (though you have to watch the ending very closely to figure out that this has happened here). Although this is not the first submitted DOS movie, it has the distinction of being the first to be published, thanks to use of the recently approved emulator JPC-RR. GBA Advance Wars (USA v1.0) in 13:43.97 by criticaluser & sgrunt. Without warning, the forces of Blue Moon mount an assault on the nation of Orange Star. Only Orange Star's new advisor, in collaboration with Orange Star's commanding officers, can stop them and get to the truth behind this sinister plot. At least, that's what they'd normally do if they weren't capable of just magically compelling their opponents to surrender at the sight of them. 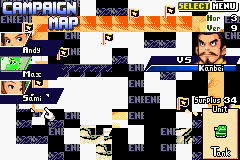 Using a glitch in the design maps mode of the game, this run completes the game impossibly quickly by forcing opponents to yield, allowing instant wins in the campaign missions. NES Metroid (USA PRG0) "low%" in 11:45.46 by sgrunt. 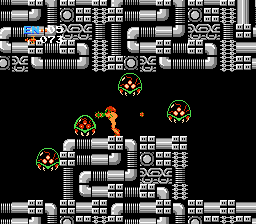 Metroid completed using just one item: the morphing ball. Uses a game restart sequence (Up+A on second controller) to save time in backtracking. This is an improvement of around five seconds from the previously published run. None at the moment; keep an eye on the queue, though! If you've dropped by, do leave a note here below the line! This page appears to be the personal page of sgrunt.